Grab your hard hat and head out with the LEGO City Mining Heavy Driller to make new discoveries! This fun toy features a functioning heavy driller with mini-figure cab, shovel loader with tipping bed, plus a mine cave with breakaway golden nugget elements and a mobile lab. Includes 3 mini-figures and a glow-in-the-dark spider figure. 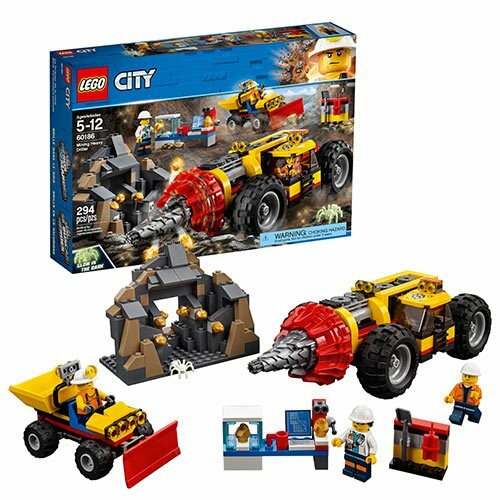 The LEGO City 60186 Mining Heavy Driller includes 294 pieces. Ages 5 to 12.